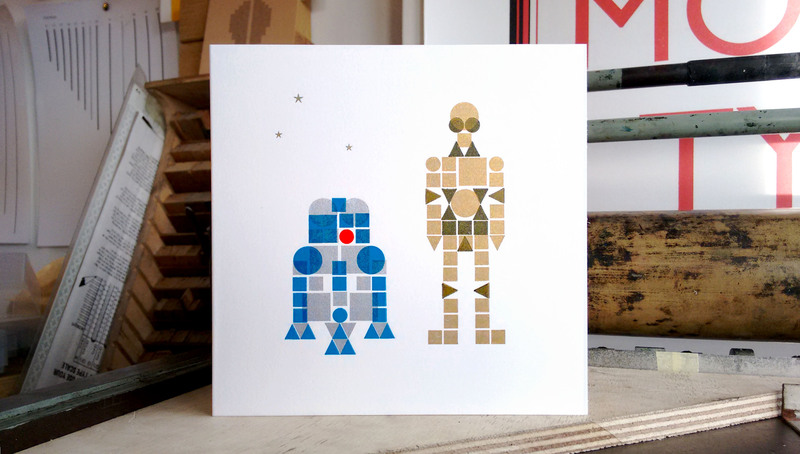 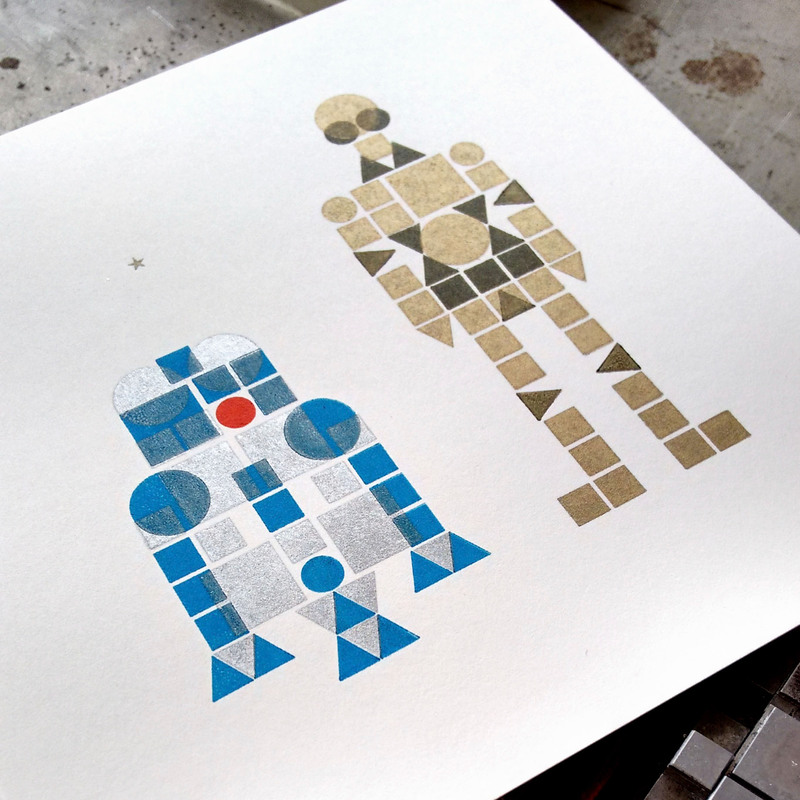 Undertaken as a personal project, these letterpress printed interpretations of the droids R2D2 and C3PO / the Millennium Falcon from the cult classic Star Wars movies were letterpress printed from moveable metal type ornaments. 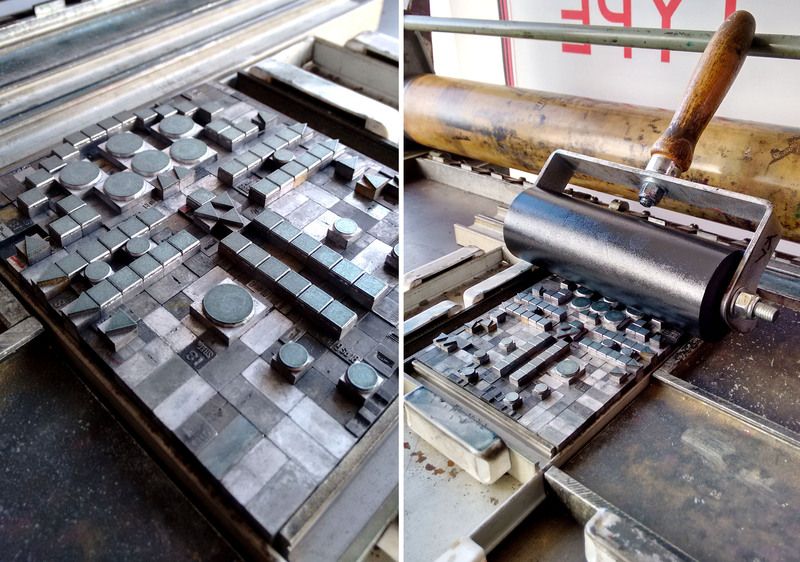 The Monotype ornaments used here were recently cast from molten type metal by Carpathian Typefoundry using a Monotype Composition Caster: technology developed in around the 1900s. 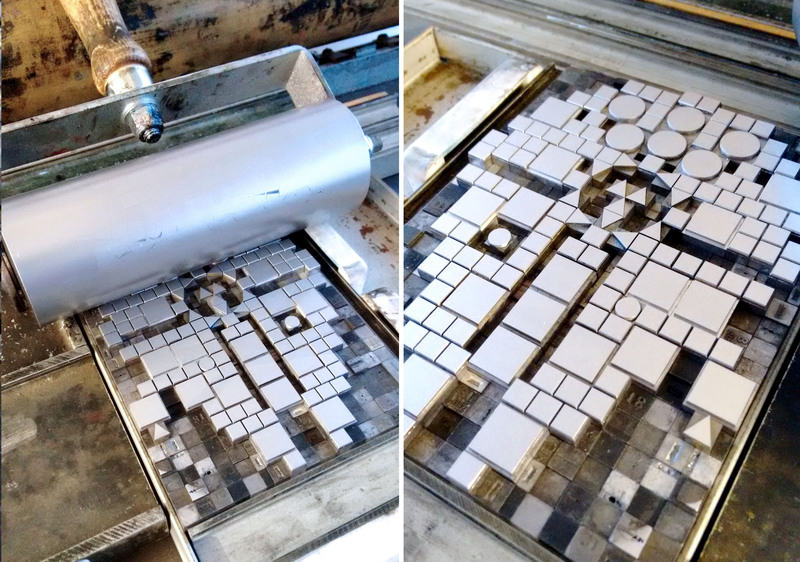 These ornaments were originally intended for use as decorative border units for printed graphic design applications, but here they are used in a contemporary way as illustrative modular units. 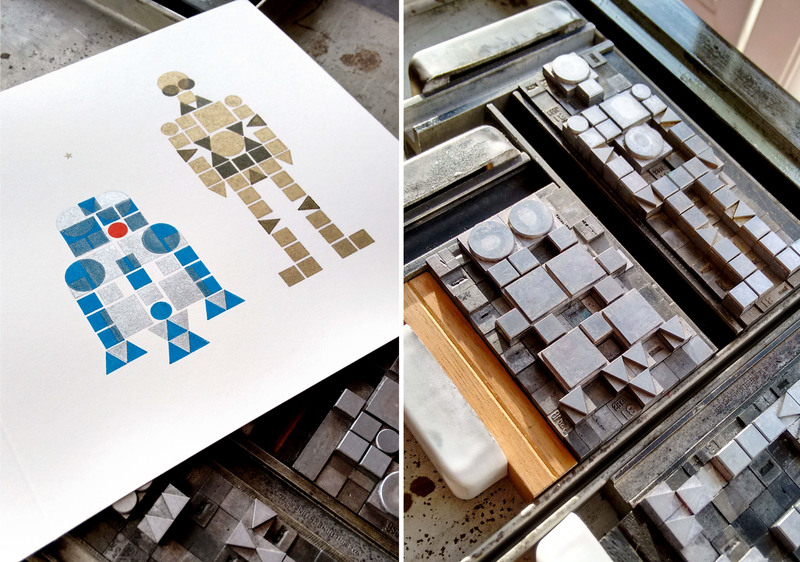 Each colour was applied by building it's own composition from letterpress ornaments and then printing each one successively to create the final image. 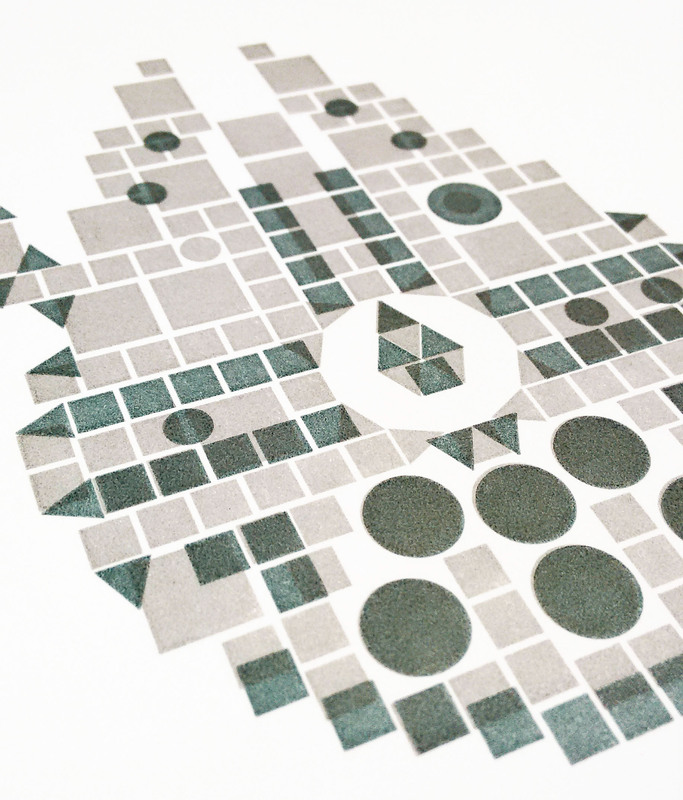 Many of the inks required modifications to achieve the high level of transparency needed to reveal the colours beneath; these were mixed by hand to achieve the correct shade and consistency. 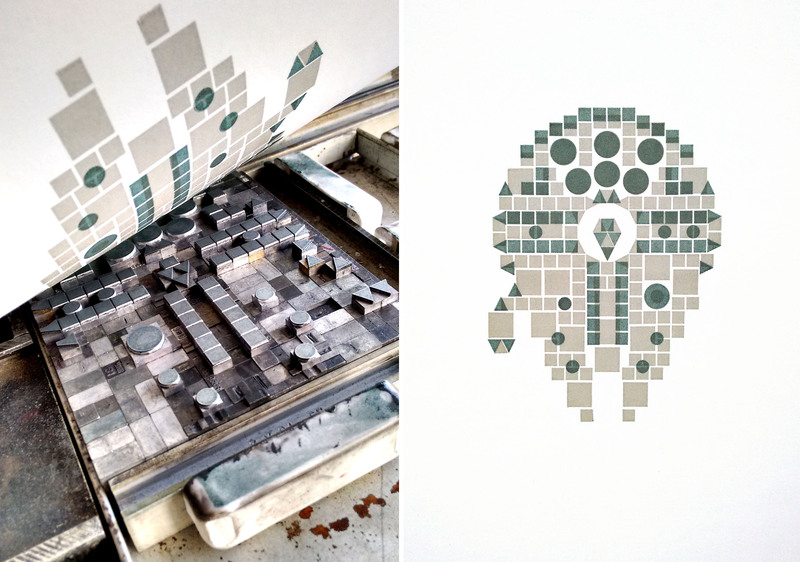 The ink was then applied by a hand roller/brayer and printed in register using a Farley galley proof press.